Save $1 when you buy any one (1) Pâtisserie Signature Strawberry, Wildberry or Salted Caramel Cheesecake or Chocolate Brownie Cake (465-550g). This coupon is available in print format via a hidden Save.ca portal. 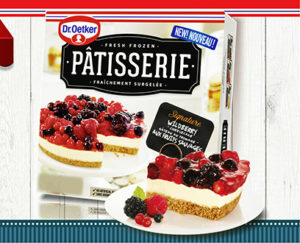 A line of delicious fresh frozen bakery desserts created for you using only fresh, high quality ingredients.